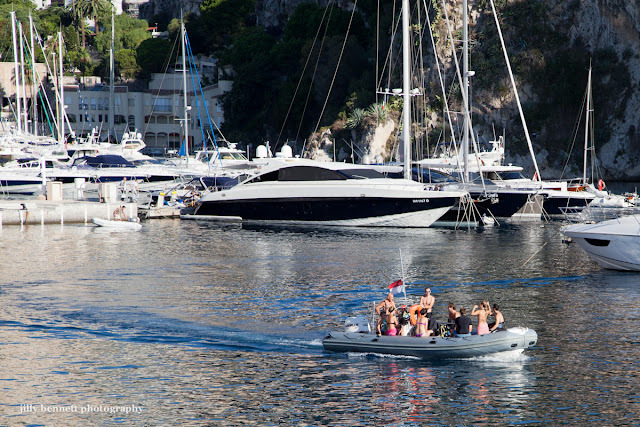 A group taking off from the port of Fontvieille for a day on the water - perhaps scuba diving? 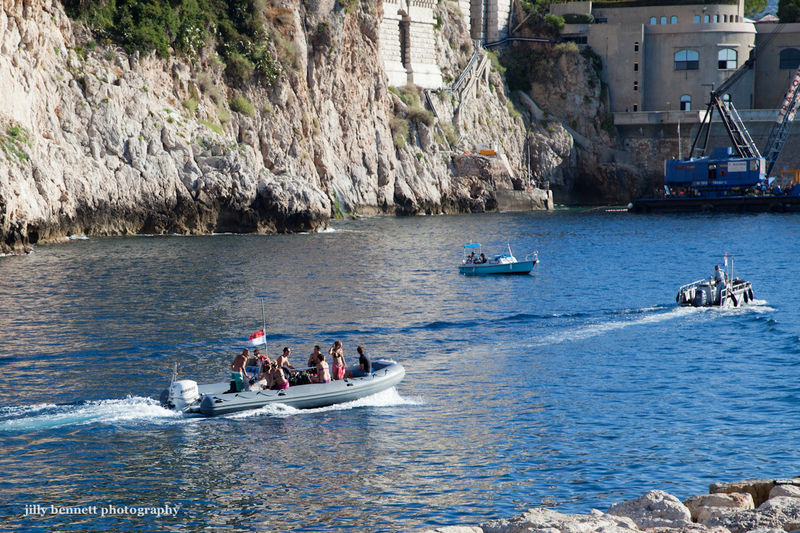 In the smaller photo they are about to pass the Oceanographic Museum. Yes, that's how we arrived, when we came over last year. Alas, we didn't see that much, only the sea and a few of the buildings on the coast of Nice.